Cheese takes so many forms that you can consume it raw, melted, or even fried. 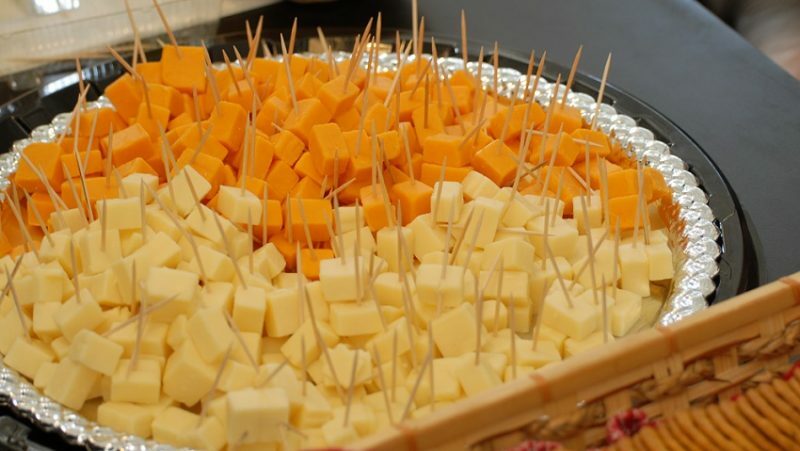 There’s no doubt that Cheese is popular among Americans, who have a wide variety to choose from. These dairy products share the content of salt and saturated fat. However, quantities differ. So, it’s natural to wonder which are the healthiest cheese types? Cheese usually contains nutrients such as vitamins A, B, and D, together with Calcium, Zinc, Phosphorus and Potassium. It provides you with protein and, therefore, it provides you with as much energy as an entire meal, in some cases. There are two main types of cheese available. In this article we will include the best options you can find in your local store. Authentic cheese contains cow, goat or sheep milk and goes through a natural fermentation process. Processed cheese also has emulsifiers, phosphates, and hydrogenated oils that extend its life shelf. Cottage cheese is recommended by nutritionists as it promotes bone health and weight loss. It has low fat content and is rich in protein. To make the most of its benefits, find the healthiest cottage cheese among the available products. Cottage cheese usually also contains vinegar, lemon juice or lime juice which activate its nutritional substances. Aged cottage cheese has low levels of lactose and can be consumed by those with lactose intolerance. It contains 20 calories and 3 grams of protein/ounce. You can consume it raw, in salads, or as part of any meal. Blue cheese is a category of products which includes Gorgonzola, Blue Stilton, Roquefort, Cabrales, and Danablu. Blue cheese is rich in vitamins and minerals, due to the gut-friendly bacteria it contains. Mold and penicillium cultures are added throughout the cheese making process. The result is an unfriendly looking, but tasty cheese. Blue cheese usually has extra selenium, vitamin B6, zinc and folate. Roquefort cheese has anti-inflammatory properties, due to its gaining in caves. One ounce of cheese usually has 8.2 grams of fat and 6.1 grams of protein. You can use it with pasta, pizza or salads. Goat cheese is suitable for those who cannot tolerate cow’s milk and those who look for a more intense taste. It’s easy to digest and rich in A2 casein. This casein has similar protein structure to human breast milk and, therefore, less allergenic, as a study shows. Contains plenty of iron, potassium, phosphorus and vitamin B12. Goat milk, the cheese’s key ingredient, increases the absorption of iron and improves bone formation. It has around 75 calories and 5.3 grams of protein per ounce. Feta is essential for the Greek cuisine and has spread widely, due to its delightful taste. Usually, is made of goat or sheep’s milk. Researches show that it protects against cancer, due to a rich mix between vitamin D and Calcium. Feta also contains vitamin B6, sodium, zinc and selenium. The cheese contains friendly bacteria probiotics which are beneficial for your gut. One ounce of feta cheese contains 75 calories, 4 grams of protein and 6 grams of fat. You can stuff it in olives of spicy peppers. It’s also suitable for salads, pasta, pizza or even fruit. You can easily recognize ricotta cheese thanks to its soft and creamy aspect. It is made of whey instead of whole milk. It has less fat, sodium, but more phosphorus. Ricotta also contains magnesium and selenium. Ricotta cheese is also rich in zinc. You can also get 25% of your daily recommended amount of calcium just by adding this cheese to your meal. Ricotta contains 14 grams of protein per ounce. It’s suitable for pasta and fruit. These are the healthiest cheese products which you can find even in your local store or supermarket. The above may differ, depending on your family’s potential allergies, nutritional needs or even preferences. Cheese mostly needs to provide you with both nutrients and flavor. Soft cheese products are low in fat and, therefore, they tend to seem available for consumption in larger quantities. After choosing your favorite healthy cheese, you need to find a balance between quantity and flavor. Yet, even high fat cheese can provide you with the recommended dose of protein you need during the day, for less calories than other products. Remember that, regardless of your choice, organic dairy products are healthier than regular processed milk. So, find your next cheese and enjoy it!